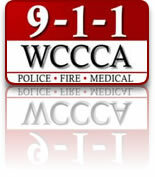 WCCCA’s Public Education Program focuses on educating the citizens of Washington County on the proper use of 9-1-1 in order to obtain help during an emergency. We are also committed to raising awareness about 9-1-1 by sharing our successes, job opportunities, and current or upcoming legislation and levies. Job fairs, public safety fairs, community events, etc. If you would like more information about our program or would like to schedule a presentation please email us at: pubEd@wccca.com. To request a presentation or contact us about an event, complete and submit our Public Education Request Form. Preferred Dates: List top 3 preferences for presentation dates and times. Presentations at WCCCA are typically 1.5-2 hours. If request is for an upcoming fair or community event only one date is necessary. Download an electronic version flyer here.